A caller tune is a tune that people hear on your mobile phone when they call you. The usual ringing tone can be easily replaced with a more meaningful tune. You can make callers hear beautiful notes till you attend the call by setting a caller tune. Caller tunes are compatible with all mobile phones and all telecom companies provide it. If you are paying charges for subscribing and activating a caller tune then here is one good news for you. Using Wring Android App which is available on Google play store you can set free caller tune. 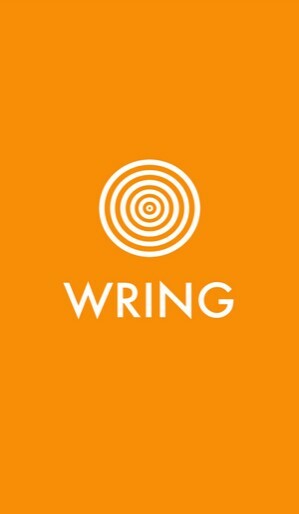 Lets Wring App! 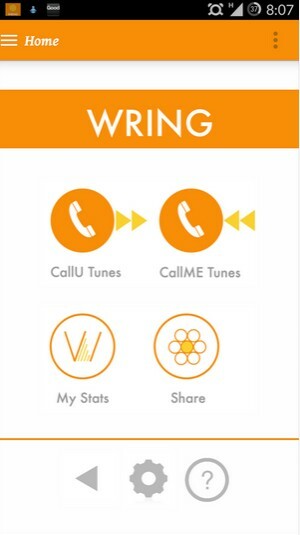 Beat the boring ring back tone and spice up your calls with Wring App. ring is a free and revolutionary way to make calling fun.You and your friends can now listen to any exciting music of your choice when making phone calls. Wring is Caller Tunes 2.0 – Unlimited! 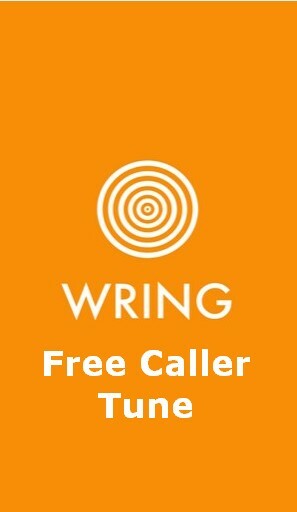 Wring is a free alternative to paid caller tunes. No need to pay a monthly fee for caller tunes or pay per minute charges for changing your caller tunes. Choose your desired music/song/audio from your playlist and enjoy! Share the app with your friends and let them hear your favorite song when they call you and also set caller tune for free. You can treat yourself to some fun music/audio/comedy and more while you wait for others to answer your call. You may Change the tunes as many times as you may like. Customize specific tunes for individual contacts or allow the app to set randomized tunes from your playlist for all outgoing calls. The Tune Stops When you Speak into Other Person. You can set up your caller Tune. Call me Tune means the tune you here when you call someone. It’s a very simple process and easy to understand . How to Set Free Caller Tunes without Paying Anything? I will Show you how to use Wring Android App Step by Step .Let’s Start the Process. First Download Wring Free Caller Ringtones App from Google Play Store or click here. 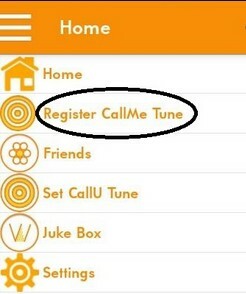 After installing, open the app and set up your Call Me Tune. Go to Menu bar at the top left corner and select Register Call Me Tune option. Enter all the details like mobile number & Email ID. Now select a song by clicking on the Music symbol on the screen and select a song from your Music Store. Then click on Register Details. That’s it with in few seconds your Call Me Tune will be activated. Now, Let’s setup Call U Tunes. CALL U TUNES stop when you speak into the mic. Go to Menu bar at the top left corner and select Set CallU Tune option. Then click on a particular contact & select song from your Music store which you want to hear when you call to that contact. 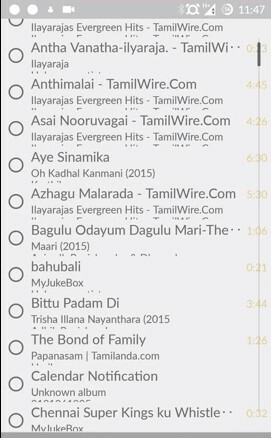 After selecting a song click on OK button. Within few seconds your Call U Tune option will be activated. 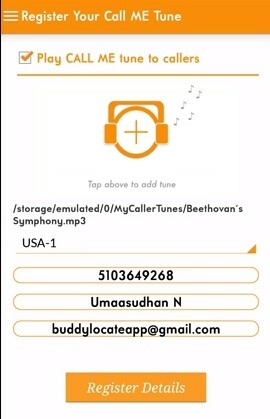 That’s it you have done the set caller tune for free on Android Mobile phone. I hope you enjoyed the above post for Set Caller tune for free on Android Mobile Phone. If you like it Please do not forget to share with your friends this post on face book, twitter and social networks.